Listen Up! Welcomes The Pack A.D. The next event in the CFUZ Listen Up! Speaker Series takes place on Saturday, April 28, 7:30pm at Mondo Creation in downtown Penticton BC. Peach City Radio is excited to welcome Maya Miller & Becky Black of Vancouver garage-punk band The Pack A.D. give a talk entitled "Your Band Can Be On the Radio". 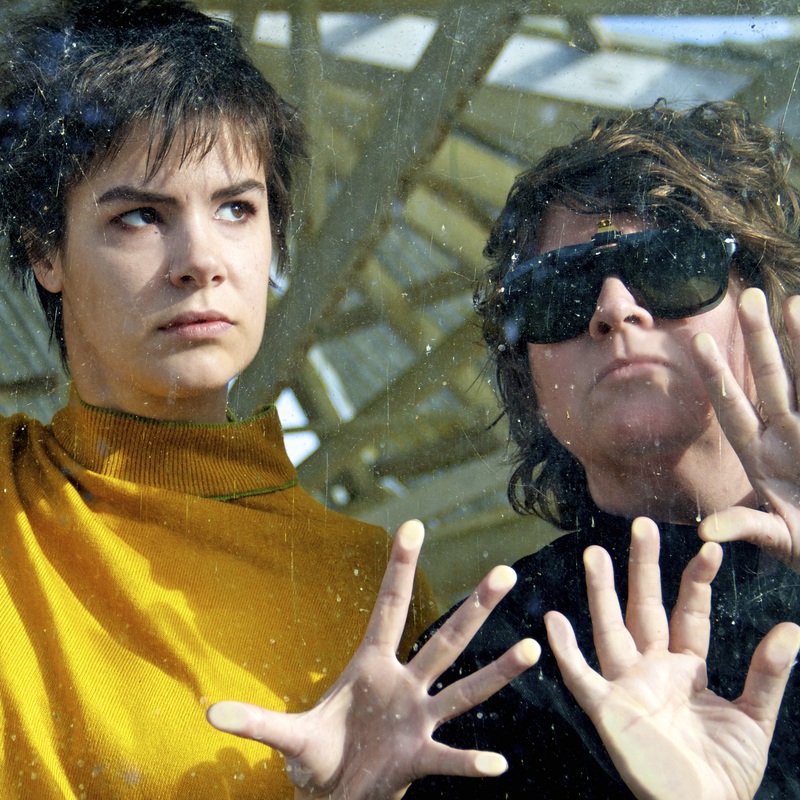 Known primarily for their raucous live shows, acid wit and bruising vocals, the Pack A.D. (guitarist Becky Black and drummer Maya Miller) bring high energy and gigantic sound to their live shows. Formed in 2006, The Pack A.D. have released 7 albums and toured extensively around the world. CFUZ has invited this powerful Canadian duo to Penticton - not to rock, just to talk! Leaving their amps in Vancouver, they will sit with us to discuss their journey as a band and how community radio has played a role in their success. At the public talk entitled "Your Band Can Be on the Radio" we�ll hear what it's like to be a working band in Canada. This free event open to everyone. Penticton and area musicians are invited to sign up for the workshop �How to Be a Band or Lose Your Mind Trying� which will be a chance to hear how Becky and Maya have managed their group � from the business of being a band, to working with labels, touring and more. Register by email at listenup@peachcityradio.org.